Schoolcraft Power Train is owned and operated by Ron Schoolcraft and was founded in 1999. Ron’s goal in this endeavor is to provide excellence in design/manufacturing engineering services to his customers in the power transmission industry. 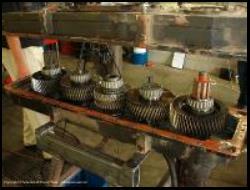 SPT provided expert witness testimony to Laibe Corporation for litigation regarding failing transfer cases. SPT’s testimony helped force a favorable settlement for the client. SPT performed corrective redesign of an accessory gearbox for the Rolls-Royce 601-KF11 11,000 hp marine gas turbine engine. When deficiencies were discovered with the original design as hardware was being fabricated, SPT was called in to reengineer the system. By employing creative salvage repair schemes and ingenuity in design, SPT adapted most of the existing hardware to the revised system. This minimized the client’s recovery cost while providing a sound, functional design. SPT also functioned as a liason between Rolls and its suppliers for the project. An industrial gas turbine overhaul and packaging company recently encountered a noise problem with a test equipment gearbox. SPT was called on to troubleshoot and resolve the problem. 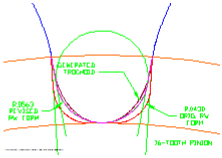 After analysis, SPT developed new tooth profile modifications and a form grind salvage repair scheme for the mesh. Testing resumed and was completed with no further gear noise problems. Caterpillar Transmission Business Unit utilized SPT’s expertise in seal systems to significantly reduce customer complaints related to transmission seal leaks. 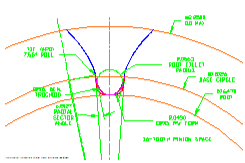 SPT performed an extensive design and manufacturing process review and a supplier audit to determine corrective action. A pilot application of SPT’s recommendations saw service life extended from ~30 h before leaking to over 6000 h with no leaks reported. 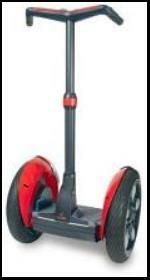 SPT provided seal system design expertise to Axicon Technologies, Inc. in support of their gearbox design effort for the Segway human transporter. Serving many facets of the power transmission industry!